The film programs I've built over the years are all about empowering kids to use film to tell a story. Having a story that students can relate to and get excited about is paramount, the foundation for a successful project. The fun part is watching a group of students go from uncoordinated beginners to a well-oiled machine; a working film crew with sound, camera, director, and actors. When the films are screened for an audience of peers, and students get comments like, "How did you do that?" I know we've succeeded in our goal. In my two years at Darrow I have focused on building its existing Film program into a more robust Narrative Film experience for high schoolers. Students learn writing and analytical skills in film to prepare them for directing and editing their own sync-sound narrative movies, as well as working as a team under me to create more ambitious long-form movie projects. I also created several other programs at Darrow including an Animation class, an after school Improv club, and a weekly news show by the Darrow Media Team. A shot for shot remake of a scene from "Jaws"
The Darrow Media Team presents: "Darrow News"
More Darrow School Film projects here. 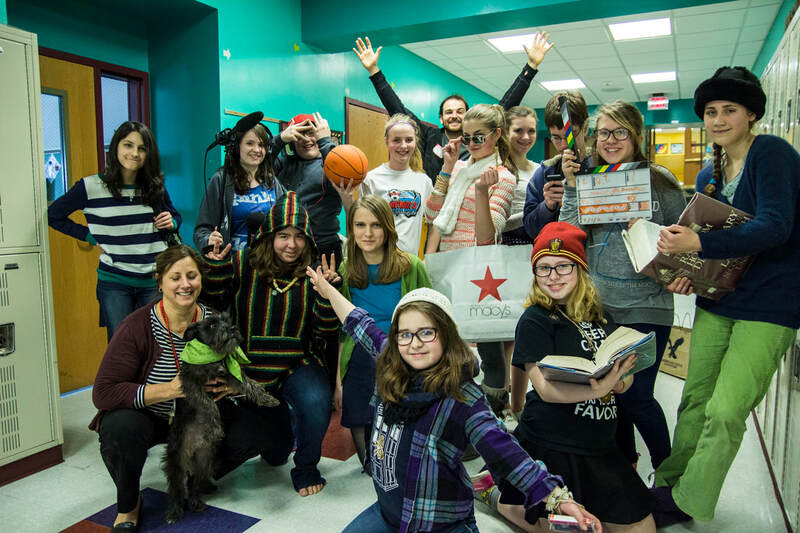 Middle and High schools in Columbia County NY have participated in this program 4 years running as a way for kids to get real experience making narrative films. The program is a 6-8 week program with one session a week where kids come up with a story, produce, and shoot a film to screen for a huge audience at the Crandall Theatre. 2015 Chatham Middle Schooler's "The Special World"
2014 Chatham Middle School's "Stereotypes Anonymous"
2015 Taconic Hills High's "The Photo"
2014 New Lebanon Middle School's "After School Terror"
The Falls Village Children's Theatre's "Camp Nerd"
Northeast Community Center 2014's "Zom-Com"
College Internship Program 2014's "Model U.N."
College Internship Program 2015's "Long Lost"